Carbon nanotubes may give the world faster-charging and longer-lasting lithium metal batteries. 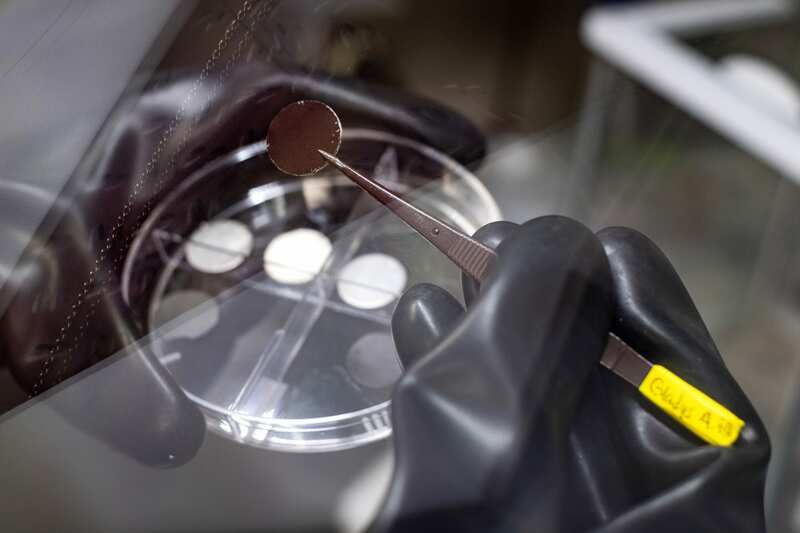 Rice University researchers say that films of carbon nanotubes may give us what we need to replace lithium-ion batteries with lithium metal ones. James Tour and colleagues wrote about their work and achievements in the journal Advanced Materials (citation below). Tour is T. T. and W. F. Chao Professor of Chemistry and Professor of Computer Science at Rice University. Co-authors were Rodrigo V. Salvatierra, Gladys A. López‐Silva, Almaz S. Jalilov, and Jongwon Yoon from Rice University; and Gang Wu and Ah ‐Lim Tsai from the University of Texas Houston Medical School. Dendrites grow naturally from unprotected lithium metal anodes in batteries. Eventually, dendrite ‘tentacles’ can pierce the battery’s electrolyte core, reaching the cathode. When that happens, the battery ceases to function. This problem has undermined the use of lithium metal, especially in commercial applications. It has also encouraged scientists globally to find a solution. Researchers at James Tour’s lab showed that thin nanotube films effectively stop these dendrites from growing. Lithium-ion electrodes exist in virtually every electronic device today, including electric cars and cellphones. Lithium metal charges significantly faster than lithium-ion electrodes. It also holds approximately ten times more energy by volume. According to Prof. Tour, the researchers’ answer is simple, inexpensive, and extremely effective at stopping dendrite growth. Salvatierra and López-Silva are postdoctoral and postgraduate researchers respectively at Rice University’s Department of Chemistry. While the battery is in use, the carbon nanotube film discharges stored ions and the underlying lithium anode refills it. Thus, the film’s ability to stop dendrite growth is maintained. “Suppressing Li Metal Dendrites Through a Solid Li‐Ion Backup Layer,” Rodrigo V. Salvatierra, Gladys A. López‐Silva, Almaz S. Jalilov, Jongwon Yoon, Gang Wu, Ah‐Lim Tsai, and James M. Tour. Advanced Materials. First Published: 17 October 2018. DOI: https://doi.org/10.1002/adma.201803869.